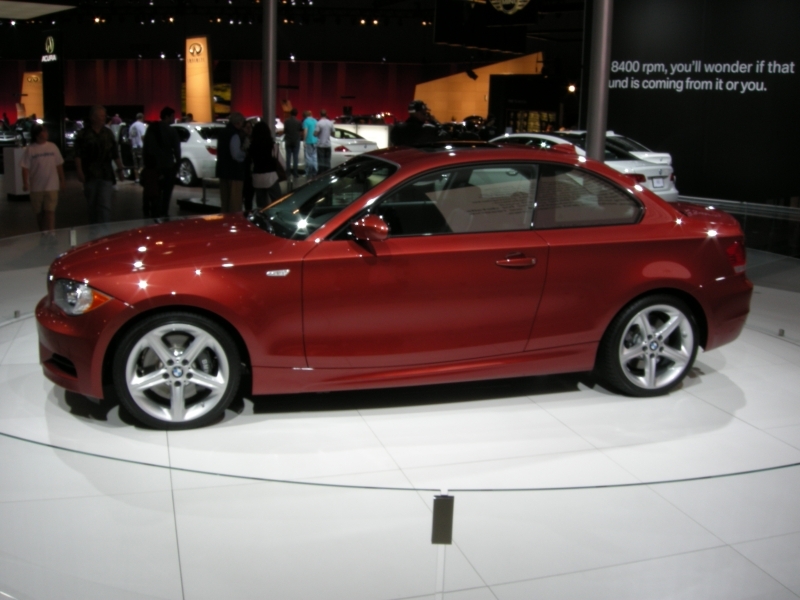 We kept seeing the magazine reviews on the BMW 1-series coupe, but I thought it would be interesting to post a personal review by someone that attended the L.A Auto Show. It's always nice to hear a friendlier, less technical review. 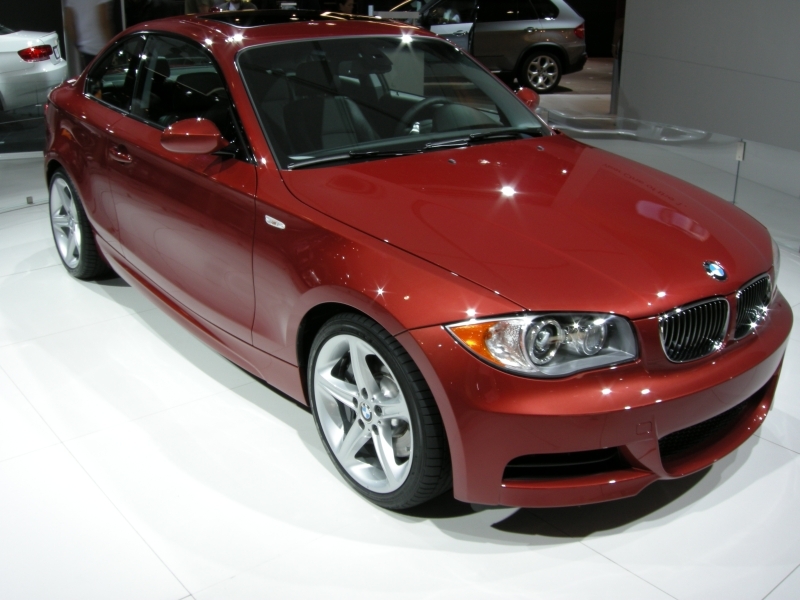 So, today, we're going to share with you what "MPower" has to say. He is a member of 1addicts.com. Most importantly, Sedona Red looked dreadful in person. The lighting was hardly complementary but it looked to have a lot more pink in it than you see in pictures. For some reason, the color photographs much darker than it actually is. It looked very flat and dull to me and, next to that awful green color, it is the worst of the available colors. Best part about the car is how the wheels fill the arches. It gives the car a really good looking stance, especially from behind where the wide(ish) rear tires look really nice in proportion. Also, the auto show solidified my view that the 264s are the wheels to get. True I have not seen the 261s in person, but these 264s look phenomenal in person. 19 inchers, in my opinion, would look out of place. For some reason, the car did not grab my attention or look really dominating. It has all the M cues but they don't work as well in person as I expected. The front of the car, therefore, is a bit of a disappointment. Hopefully in another color it will look better and more aggressive. 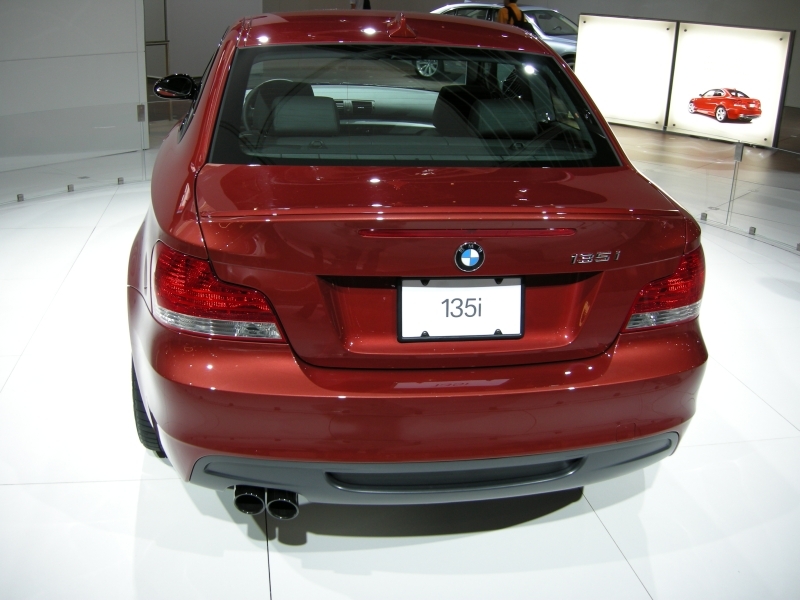 On the plus side, the 1er has one of the best set of BMW kidneys ever. The amber headlights didnt bother me as much as I thought it would. Perhaps its because they blended in pretty well with the Sedona Red, but, really, they didnt look bad. The rear of the car looks really nice, though the entire car looks a lot more narrow than it actually is. The one problem with the rear is the way the dominant, sharp line from the side transfers to the rear. It just does not look right. I really wish that line did not continue to the rear and dip around in the rear. Too fiddly and, frankly, unattractive. Still, the exhaust looks brilliant and the rear arches look great from behind. The side profile is the best angle of the car. From any other angle, the car looks a bunch smaller than it is. The only disappointment on the side profile is that Hofmeister kink which looks slightly too small. Still, having seen all the other manufacturer's attempt at a Hofmeister kink, BMW still does that transition much, much, much, much better than anyone else in the business. Overall, a good looking car but it really was not as impressive as I thought it would be in person. It's more cute than I thought it would be and while it still looks like it be a cracking drive, the looks aren't enough to make me go running to the BMW dealer with my checkbook. Hopefully a tii will add the aggression that this car's styling deserves. Anyway, just some thoughts from one person's perspective (your eyes will probably see it differently).